Stop in This Friday and Save BIG TIME!!! Prizes will be from the shop and will be awarded for 1st, 2nd, and 3rd place based on Age categories listed below..
Print the image above by scaling it to paper size or come in and pick up one at the shop. Print the image below by scaling it to paper size or come in and pick up one at the shop. 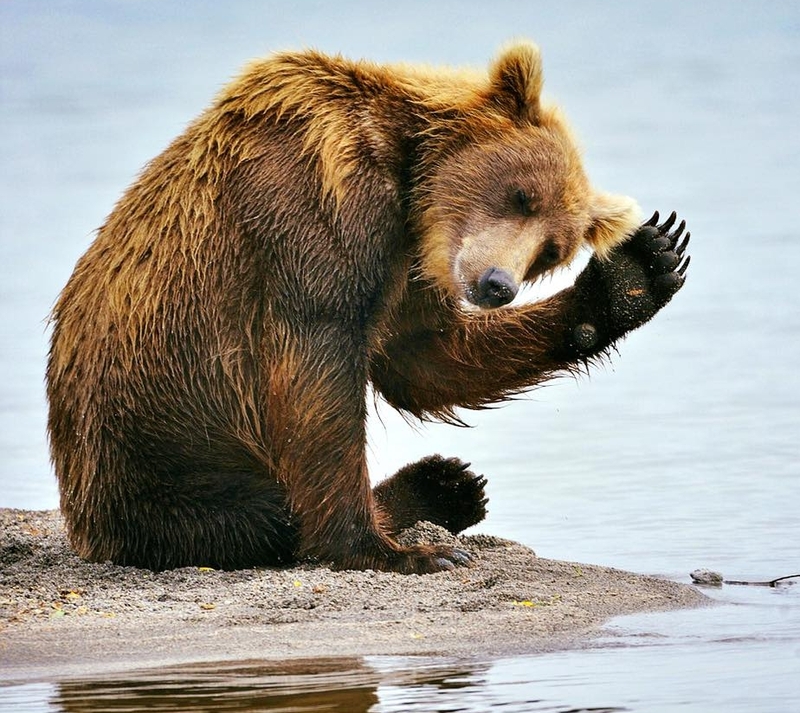 Bear's is waving good bye to summer soon and as we have done every summer, we will be having our 3rd annual sidewalk summer sale and BBQ this Friday August 25th! Come on down to save BIG time on BMX, Skateboards, Longboards, Stand up Paddle Boards, and Wake Boards. This is the sale that beats all sales. Every Purchase will qualify for an entry to win an awesome prize pack!! Save up to 40% on BMX and Wake Products!!! Save up to 50% off on clothing and accessories!! Save up to 10% on the newest Stand up paddle boards! Save 20% off all footwear, sunglasses and Nixon Watches! Come on down for Great Deals and Good Food!! Support St. Paul Minor Hockey and the Skatepark!! Something our local residents may not know, but here at Bear's we give back to the community and we give back to our loyal customers. Since setting this up in early 2016 We have accrued over 3000.00 in loyalty dollars with our loyal friends and customers. It adds up to shop LOCAL!! It only takes one click to register and vote to help our small community get some much needed funding for this important initiative. There are only 8 days left so please use up your votes today!! Bear's will be having our 2nd annual Summer Sidewalk sale on August 19th from 10-6. We will be BBQ'n and havin fun in the inflatable funhouses set up for the kids. All proceeds from the BBQ will be going to the St Paul BMX & Skatepark Initiative. Further to this it's with a heavy heart that we have to say goodbye to our Shop Manager Kirk. He has been accepted to Medical school and will be attending classes in September. Kirk has been more than instrumental in helping Bear's as well as the Skate park initiative get off the ground. He has been a strong positive example and a great role model to the youth in the community. Come down Friday and help us celebrate with Kirk before he leaves! You can not only say good bye to this cool dude, but score some very sweet deals on some very sweet goodies! This Year we have two options for you to colour!! If you can Print either image you can also colour it!! If not stop in at Bears to Pick up your entry to win some very cool stuff!! Vans and BMX go together like Bread and Butter! Check out our awesome selection of Hi-Quality Footwear from Vans at Bear's BMX & BS. Check out this Add from 1979! Big shout out to the guys at Property Guys for constantly supporting our shop! Bikinis, shorts, tanks, Sanuks, sandals and more 20-40% off! Plus awesome new arrivals all in store!! Get Nixon Watches and Dragon, Spy, and Electric eyewear at 20% off!! save big and impress your loved ones!! Bear's BMX & BS Black Friday event is this Friday Nov 27 from 10AM - 9PM. Come in to save $$$ on all in store goodies!! We have everything from socks to snowboards, GO PRO's to blasters, and skateboards to BMX and of course all the shoes and apparel to suite!! Bear's BMX & BS is holding its first ever annual Streetlight *Sleuth Sale Friday October 30th. This is most commonly referred to as Moonlight Madness. OR if nothing else just Stop in for Candy, Popcorn, Coffee, and good tunes!! This video was created by Kirk Reid in conjunction with Jay Roy and #thesleuth. It represents what we stand for and it's worth the watch. Thank you Jay Roy for the encouraging message. The 2017 Crossbreed comes with a handy new keyless FCSII fin. No more tools, no more lost parts, this system features integrated components that make installing and removing your fin as easy as snapping it or out of the track. Also for 2017, we’ve relocated the inflate/deflate nozzle at the front of the board away from the fin track, which makes deflating and rolling it up even easier. Triple-Ply Construction: Built to last, this exclusive full wrap triple-ply construction insures durability for many years of use. You will find the board is built to endure everyday real world use and includes a two-year warranty. V-Drop Stitch: The Crossbreed inflatable is built exclusively with our V-Drop Stitch Construction. When inflated to 15 PSI, it offers hardboard performance and is super light, stiff, has ideal rocker and will not twisting or “banana” in the water. You get Slingshot quality and durability every time you use it.